These unseen confession tapes show the moment Chris Watts explains why he put the bodies of his family in oil tanks. DENVER – The 19th Judicial District Attorney’s Office on Thursday released a massive cache of documents and interviews related to the Chris Watts case following open records requests made by Denver7. Watts pleaded guilty earlier this month to killing his pregnant wife Shanann Watts and their two young daughters at their home in Frederick, Colo. in August. He was sentenced to three consecutive life terms without the possibility of parole, after which prosecutors started releasing all the documents related to the case. 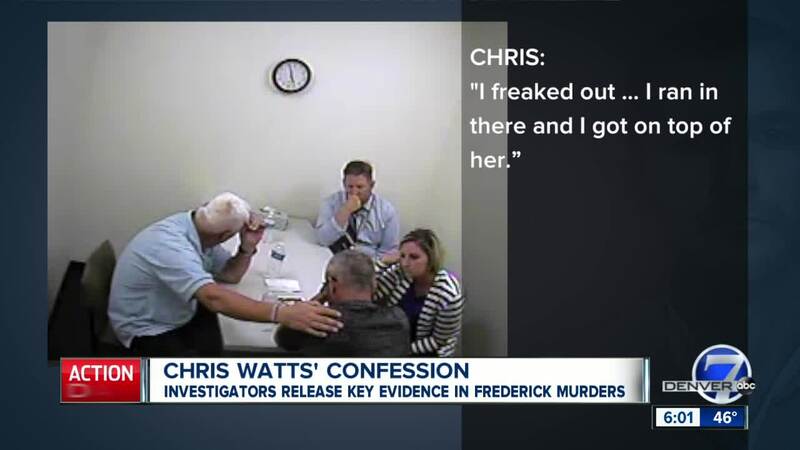 Last week, prosecutors released thousands of pages of documents that contained interviews and information about the investigation, which showed more details about how Watts killed his family and hid their bodies and the deteriorating relationship between himself and Shanann. Denver7 has compiled most of the video clips of the interrogation of Watts and some other parts of the investigation into the following videos. Some of the audio does not synchronize with the video, which is how Denver7 received the clips from the district attorney’s office. Some portions of the videos when no one is speaking have been sped up. 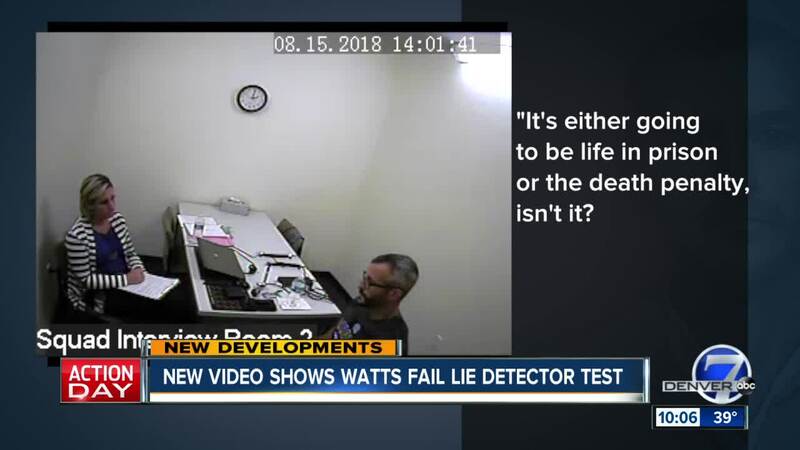 In the video below, Chris Watts confesses to murdering Shanann while investigators question him over a period of several hours. He also admits to his father, Ronnie Watts, that he killed his wife. Prosecutors said after Watts pleaded guilty and was sentenced that Watts had lied and had indeed killed all three of his family members. In the clip below, Chris Watts tells investigators more information about where they can find the bodies of his wife and daughters and how to access the oil tanks in which he dumped his daughters’ bodies. He also tells his father more about what he claims happened. 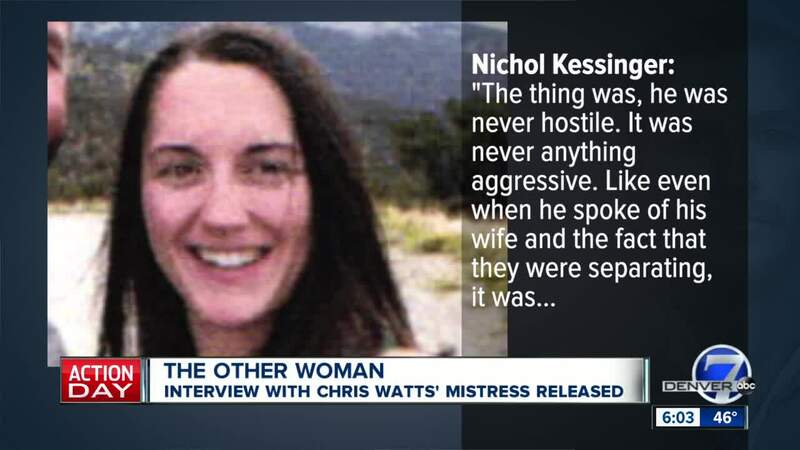 In the two-hour audio clip below, Chris Watts’ alleged mistress, Nichol Kessinger, tells investigators intimate details of their relationship and what she knew about his family and the murders. WARNING: The clip contains graphic content.